It’s here…my holiday gift guide of must have books for moms who are looking to be more intentional in their roles as a mom. 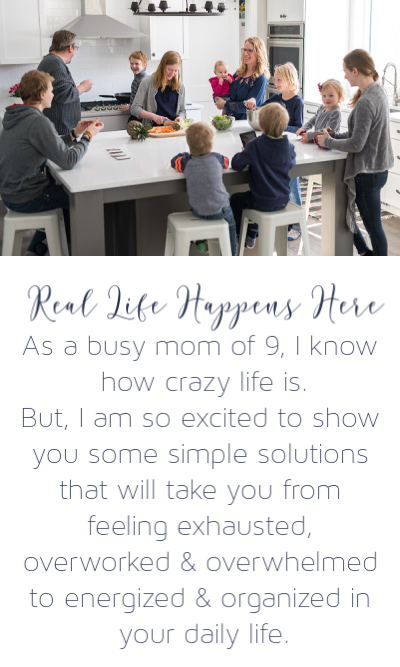 One of the reasons I think most moms love to read is that it gives of the opportunity to dream about a different and better version of our life. I think we as moms are all on a quest to become the best mom we can, and while that mom might look different for you than it does for me, I think our desire to be the best mom is universal. This is why reading books that inspire us to be better women and better moms is one of our favorite things to do. As you may already know, I am a book fanatic. I almost always have four books going at one time on varying topics, and each one addresses a different need. That way, I can read something that really speaks to me at the time. Can I just say how difficult it was to narrow my extensive selection down to 15? My goal was 10, but that just didn’t happen. I love keeping a wish list of books on hand. When I have enough from my “monthly allowance” for a book, I know just what I need. It also comes in handy when parents are looking for gift suggestions for the holidays. These have all been among the most life-changing books for me as a mom over the years, and these are the most amazing authors. You will love each and every one of them, and there is something here for everyone! 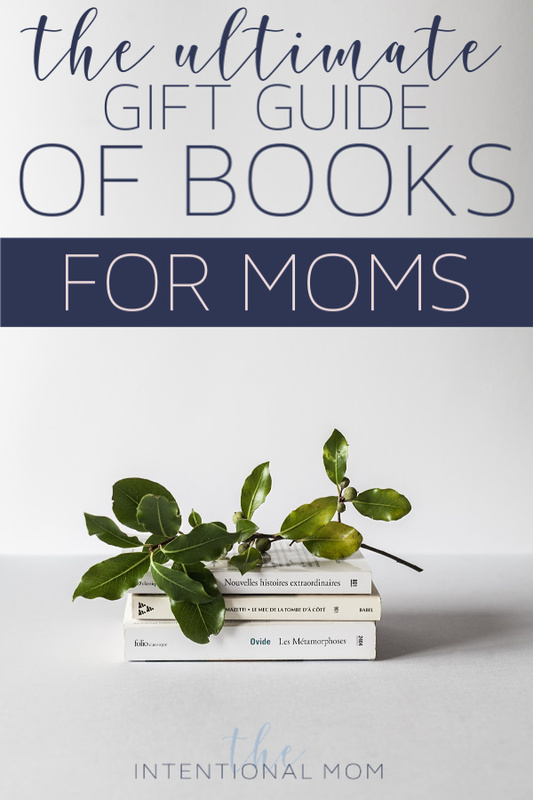 I know you will love this list of books for moms as much as I do – let’s get inspired! If you are looking to remove the distractions that keep you from being an intentional mom, this book will speak straight to your heart. Written by a mom who discovered she was missing so much of her kids’ lives because she was just not fully there, this book is convicting, yet it is something that is necessary in your life as a mom. This book reminds you that your choices matter, you don’t get a do-over, and that there is nothing, NOTHING, that is more important than being fully present in the lives of your children. This is an in-your-face, packed with quick and easy to apply things you can do right now to regain your sanity – with just the right amount of humor packed in. Being a mom can be overwhelming, and we all want to “do it right,” but we often drive ourselves crazy trying. With tips including everything from the practical, tangible things to how to manage the stress that can be so overwhelming, this is a quick yet meaty read. I love both Sarah Mae and Sally Clarkson. Both are gracious and kindhearted, soft-spoken and encouraging in how they write. Each take a role in this book as Sally is a mentor to Sally who addresses some of Sarah’s most pressing concerns and challenges. This book provides both hope and the breathing room you are craving as a mom. I have read this book so many times that mine looks rather ratty! This is a Sally Clarkson classic, and this book is a reminder that motherhood is a marathon and not a sprint. This is full of validation, practical wisdom, and gracious understanding from a seasoned mother who admits that she didn’t always do things right. This books covers the peaks and the valleys we face in life as well as everything in between. You will love this book! This book is a reminder that being a parent is hard and full of as many battles as we want to take on. Tim is so funny, and he is always reminding the reader that in the overall scheme of things, do the little things really matter? Of course there are issues that must be tackled, but at times things just need to fall along the wayside, and in everything, our parenting should be done in grace. I have heard him speak in person on more than one occasion, and I love everything he writes. This book is a must-have! I have one word for this book, and it is POWERFUL! This book covers every kind of prayer. If you have been wanting to be a prayer warrior for your kids but are unsure about how to do that, this book is your answer. This book will make your own prayer life grow like never before, and your kids will be covered in the best way possible – with your prayers! There are even specific prayers that you can pray if you prefer to follow a template. This is hands down the most amazing book on prayer! I have talked about this book before, and whether you have a strong willed child or not, this book is an amazing resource for parenting your kids without frustration. The whole premise of the book is to give your kids the control they are always fighting you for, but it is control that you are ok with. I read this book ALL THE TIME…it is full of so much wisdom and practical advice for dealing with correction and leading without damaging your relationship. This book is completely unique in that it is not a “how to”at all, but it is all about parenting from the heart. This is an inspirational read and really speaks to what it means to parent with intention. This book repeatedly unfolds the beauty that being a mom truly is, and it keeps an eternal perspective in mind throughout. Like his book Sacred Marriage, this book is all about pulling on your heart and shaping you for the better. Elisabeth Elliot is one of the most gracious, practical, and level minded voices on being a mom and raising a family. Full of classical wisdom, this book is both practical and inspiration. 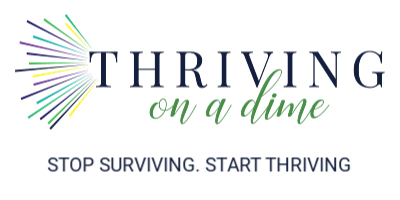 It will convict you and equip you all at the same time, and it reminds us in everything, to keep the end goal in mind – raising a family that is loving, generous, and equipped to be a light in the world around them. This book speaks to the amazing power we have as moms when we pray for our children. It speaks to the difficulties we can face in praying for our kids like lack of time, feeling discouraged, and unsure how how to pray, but it is full of the practical ways that we can cover our children in prayer. Including things like praying for their future spouse, this is an amazing resource. This book speaks to the desires that all mothers feel to reach the hearts of our children while raising them to be the people God created them to be. Sharon addresses what it is that our kids really need and how we as moms can meet these needs. She, too, speaks to being intentional with our kids and what it means to be fully present. This is a short read, but it is packed with how we as moms can effectively discipline our kids. So often we threaten, but we don’t follow through, and Ginger gives us the courage, the tools, and the inspiration to do that. This is a book that you will go to again and again. Dr. Dobson is a classical parenting expert who knows what he is talking about. Practical, inspirational, and so insightful, this book is a detailed accounting of what makes boys tick. Coming from a family of all girls, this book has been a lifeline for me at times as I deal with my four boys. Anything from Dr. Dobson really is worth its weight in gold. His follow up to Bringing Up Boys, this book unlocks the mystery of girls. This book is also practical and full of day to day wisdom on how to really understand our daughters so we can parent them in a way that is effective and also speaks to their heart. This is something you want to have if you have girls! While this one isn’t specifically about being a mom, I think we all can relate to this book. There are times when we are kicked in the gut, and all we can do is scream, “It’s not supposed to be this way!” For this reason, this brand new book is on my list for this year. Whether for you or another mom you know, these books will be amazing additions on the bookshelf of every mom! « Are the Black Friday Deals Really Worth It? LOL. My list is always growing longer! You’re welcome! OK…I’ve only read 2 on your list, so I have lots of reading to do. I’m pinning this so I can keep them and try to tackle them soon! Thanks for sharing! It’s a great list! But isn’t it amazing that out of all the parenting books out there, you have read two of them?! Great minds think alike, I guess!